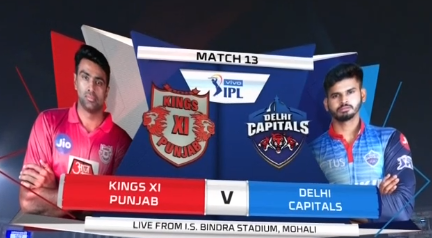 Its Vivo IPL 2019 seasjabPuon match no 13 between Kings XI Punjab vs Delhi Capitals at Mohali 8:00 Pm 1st April 2019. 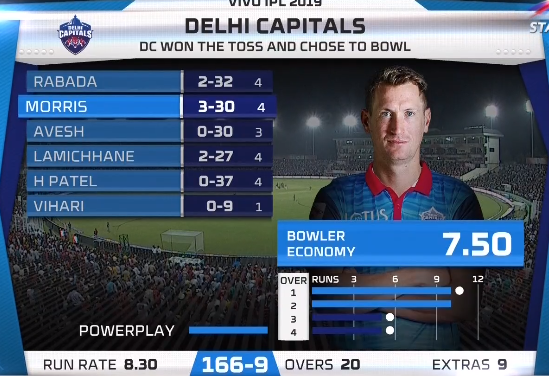 Delhi Capitals won the toss and elected to bowl first. Kings Xi Punjab has few changes in the squad. Gayle is missing this match. Curran and KL Rahul Opened the innings, Both are looking good but Kings loose their wickets Regularly.